Well we finally moved back to Portland, Oregon after living at the coast for the past 5 years. This has not changed my passion for all things vegan and gluten free. Especially since my daughter was born almost 2 years ago. With her arrival I have been on the quest to not only do vegan and GF, but also as many super densely packed nutritious meals with minimal ingredients. As all of you Portlanders know we have had an amazingly beautiful spring, summer and fall! Very dry in fact. At times a little too dry with the surrounding droughts. But alas the rains have finally come and mother nature has indicated that Fall is here. 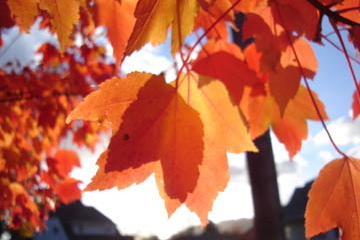 In Traditional Chinese Medicine Fall is a time of the Lungs, which belong to the Metal Element. This is traditionally a time when dryness and wind have a factor in our health. The Lungs are associated with the exterior of our body and when we catch a cold (or wind-cold in Chinese Medicine) the Lungs have been compromised. This is evident by the chills, fever, body aches, sniffles, and cough that may be productive or dry. What can we do in Chinese Medicine to treat a cold/flu? First and foremost there are many common herbs you probably already have in your kitchen that are great for those beginning stages of a cold; ginger, green onion, mint, garlic. Make a really strong ginger tea with a 2-3 inches chopped fresh ginger root in 6 cups water. Boil the ginger and let simmer for 15 minutes and add some maple syrup or honey to cut the super pungent flavor (optional). Let the tea cool slightly and drink throughout the day. Go see your acupuncturist or get one!! They will have some great formulas on hand like, Yin Qiao San, Gan Mao Ling or Chuan Xin Lian. These are all great formulas to have on hand for the cold and flu season, but you want to make sure to get them from a trusted source. Also acupuncture can cut the time you are sick in half and who doesn’t want to feel better now. The best way to strengthen our immune system is to eat a whole foods diet that has lots of veggies!!! This is probably redundant to many of you who would be reading a health blog. But still eat lots of veggies!!! In TCM we look at things a little differently, our immune system has a direct link to the Lungs (remember they govern the exterior of the body to protect us). Some simple foods to support or tonify the lungs are: nourishing soups (recipe below), pears, pumpkin, apple, brown rice, porridges, and mushrooms. Foods that can help get phlegm out of the lungs are: garlic, fresh ginger, fennel, and seaweeds. Foods for a dry cough (meaning the Lungs need to be moistened) are: microalgaes, pears, string beans, herbs like lily bulbs, marshmallow root, and licorice tea. Chop the green onions, mushrooms, carrot, celery, and tempeh (the garlic and ginger can be grated ro finely chopped). Add the 2 astragalus roots whole (so you can remove them before eating the soup). Add all ingredients to the water and boil for 8-10 minutes. After all veggies are tender turn OFF heat and add sesame oil and miso. 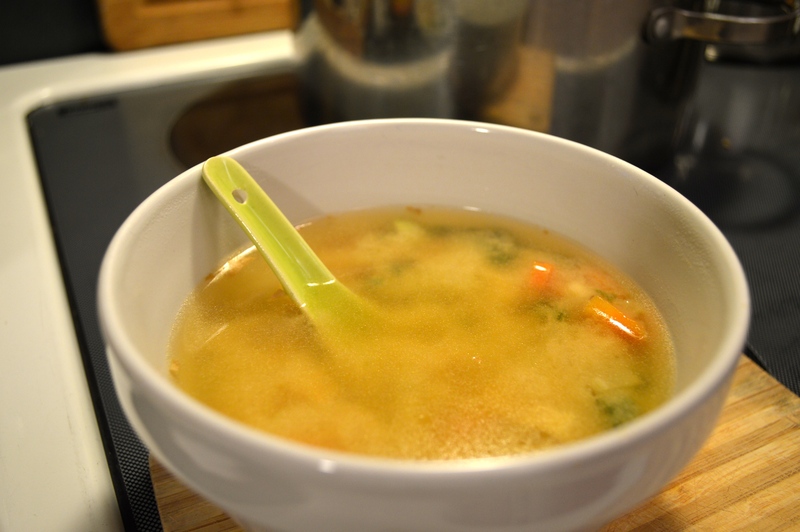 A tip for the miso is to whisk up with 1/2 cup water before adding to soup so it will be uniform in texture. 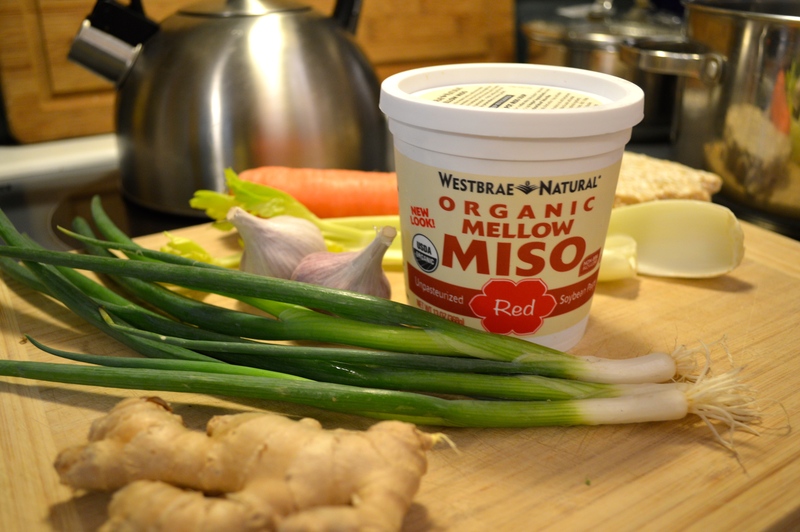 Also we add miso at the end after heat is turned off to preserve all the healthy probiotics. This soup has nourishing ingredients (astragalus, carrots, mushrooms, celery, tempeh and miso) to boost the immune system. And it has Lung opening and phlegm reducing herbs (green onions, garlic, and ginger). Also by boiling the ingredients we preserve the nutritional elements in the soup broth and this method of cooking is seen as very neutral in Chinese Medicine. Meaning that it is great for all constitutions so enjoy!!! Nice to hear from you again, Genevieve!